The propagation of light into our field of perception is elegantly inscribed by the parameters and delineations of geometry. Light, existent within this perceptual field is defined by way of its temporal projection, and placed within limits confined by its geometrically inscribed behavior. This limited inscription leaves us with an unknown question concerning the purely phenomenological presence of light, light as an illumination of the soul, and of the presence of being. Ultimately, the presence of light must lead us beyond the confines of geometry and into the realm of pure sense, and to phenomenology as a way of creating what Edmund Husserl calls the “science of pure phenomena.” However as phenomenology is a science based on the pure perception of αἰσθήσεως (aisthesis), of that which is purely sensate, a paradox exists between the sensible, and the ineffable quality of light as something which is immaterial and entirely beyond the tactile senses. Thus, we experience an epistemological rift between the quantification of light through geometry and the perception of pure phenomena. 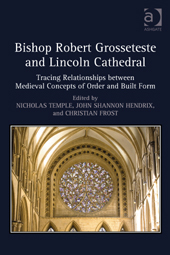 This paper attempts to answer a fundamental question posited by Bishop Robert Grosseteste pertaining to his idea of lux spiritualis or “originary light,” about the nature of light beyond the horizon of our perceptual field, and how this apparent rift may lead to a paradigmatic realization. Three works pertaining to language and geometry are presented in this article accompanied by extended descriptions dealing with structural linguistics and the relationship between language, perception and architecture. 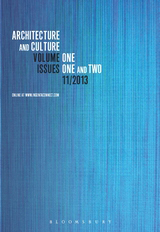 The author proposes a perceptual interface between phonological and morphological structures in the creation of visual information upon the surface of the retina, suggesting a new way to think about the relationship between language and architecture. 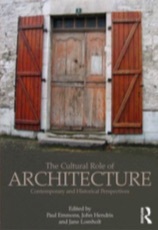 Language forms an adherence to the architect within the metaphysical context and within the intricacies of structural linguistics, in which syntax, syllable, phrase and morphemic structure form a parallel understanding of the creativity of language in the creation of architecture. "Ocularium Lucis: Light and Optical Theory in Guarino Guarini's Church of San Lorenzo" (MA Thesis: The University of Arizona), 2012. 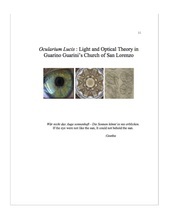 Ocularium Lucis: Light and Optical Theory in Guarino Guarini’s Church of San Lorenzo is intended to provide theoretical advancement in the understanding of the work of the Baroque architect Guarino Guarini by employing his Church of San Lorenzo as an example. In Part One an historical account of Guarini’s life and work is presented. In Part Two, Guarini’s methods as an architect are analyzed according to their intersection with the philosophy of science, geometry and astronomy, presented within his many treatises on such subjects. A syllogistic correlation is demonstrated in Guarini’s writings between the study of optics, geometry and architecture, which reveals that the architectonic forms which he creates are configured according to a profound interest in light and opticality. In this manner, Guarini’s Church of San Lorenzo is understood as an instrument of light and a vessel of divine illumination. "Correlativus Geometricum Lucis: The Relation between Geometry and Optical Theory in the Design of Muqarnas Domes" Zaytoon 12 (2012): 3–15. The intention of this paper is to trace a philosophical correlation between the geometry of muqarnas domes and optical theories present during the Abbasid period. The epistemological origin of the muqarnas dome will be explored through the correlation between geometry and optics in the ninth, tenth and eleventh-century theories of Abu Yusuf al-Kindi and Ibn al-Haytham. I will trace a coincidence between the study of light in the Islamic world and the muqarnas dome as an artifice through which these optical ideas are realized and embodied. This embodiment is presented in three forms: As a model of the Islamic conception of the universe found in the synthetic study of tarkib, as well as the interpretation of muqarnas through the dynamics of atomism; as an optical/geometrical model based on its hyperbolic shape, which is self-referential to the anatomical structure of the eye; and through a profound interest in sidereal light brought about by aligning the muqarnas dome to the stars through cartography and mathematical astronomy. This remarkable and complex feature of Islamic architecture is presented as a reification of the theories of al-Kindī and al-Haytham, in a manner which creates a coincidence between architecture and cosmos as a vessel of light. ​ Jane Lomholt (London: Routledge, 2012), 39–46.